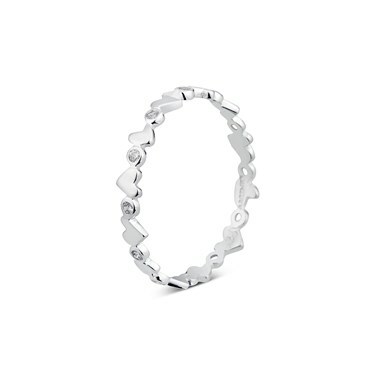 Add a touch of romance to your look with this sparkling stacking ring from Argento. Mix and match metals and stones for a truly unique stack. Style on top of eachother or side by side for a modern twist on the stacking trend.